If you’re looking for an affordable, high-quality home gym, one of the best options on the market today is the Bowflex PR1000. It combines over 30 strength exercises for every part of your body (abs, arms, chest, back, shoulders, lower body) with a built-in rowing exercise. This makes it possible to squeeze in some cardio with every workout. 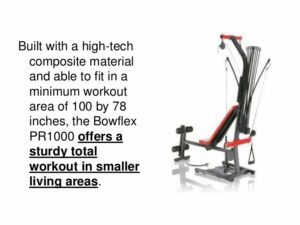 If you are ready right now to get your home gym started with a state of the art workout machine that will grow with you as you gain in strength and fitness, then click here now to see the Bowflex PR1000 latest prices and more user reviews. The first thing you need to know about the Bowflex PR1000 is that it’s designed for a total body workout. If you only want bigger biceps, then you might be better off just getting a set of dumbbells or barbells. If you want a lean, toned physique that people are going to notice, then you’ll want to try out the Bowflex PR1000. It even comes with a horizontal bench press and a lat pull down. 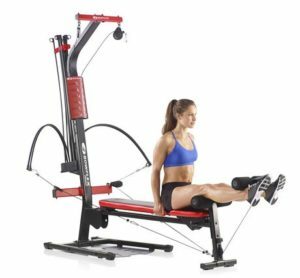 What makes Bowflex such a trusted name in the fitness industry today is its focus on delivering this all-over toning and strengthening in a high-quality, sturdy machine. It comes with 210 pounds of resistance, meaning you have more than enough machine to build muscle if you’re just starting out. If you are a more advanced bodybuilder, or specifically looking to bulk up, you might want to explore one of the Bowflex machines at a higher price point where you can get 310 or even 410 pounds of resistance. 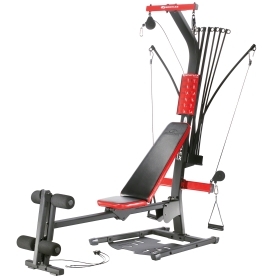 What makes every Bowflex machine unique (not just the PR1000, but every machine in the line) is that they don’t use weight stacks to deliver resistance. Instead, they use a patented technology known as Power Rod technology. You can think of this as hooking rods into a cable pulley system to deliver resistance. The first time you use it, it may take some getting used to, but it’s worth it. 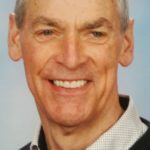 As workout experts have shown, the innovative Power Rod technology actually helps to deliver a far safer and far more effective way to work out than if you were using conventional weight stacks. You get a continuous range of motion for each exercise. That means you get to work a muscle through an entire range of motion without any jerking or pulling. And, unlike free weights, there’s no risk of dropping weights or aggravating parts of your body (like your back) by trying to lift more than you can. Where the Bowflex PR1000 really excels is in being able to offer an intense 30-minute workout. If you use your Bowflex home gym 3 times a week for 30 minutes each time, you’ll very soon begin to notice results. People will start complimenting you on your appearance, and it will be obvious that you are working out. One reason why it’s so easy to squeeze in an intense 30-minute workout is that it’s so easy to switch between stations. There are 30 different strength exercises, and it’s easy to rotate through the various exercises for abs, arms, chest, back and shoulders. You can even work out your hamstrings, one leg at a time. Many people like to integrate the Bowflex PR1000 into high-intensity interval training (HIIT) workouts. You can move quickly from one exercise to another, giving your muscles little or no time to relax and recover. This is an effective way to combine cardio with your strength training. In some cases, you might even find that a 20-minute HIIT workout gives you a total fitness experience. The primary reason why people buy all-in-one home gyms is because they don’t want to go to the gym. It’s not that they don’t want to work out, but they don’t want to deal with all the hassles of a paid membership gym. No waiting in line to use certain equipment, commuting to and from the gym, and trying to squeeze in a workout during hours that a gym is actually open. You don’t have those problems with an all-in-one home gym like the Bowflex PR1000. First of all, there’s no wait to use the equipment. The machine is versatile enough to move from exercise to exercise without constantly reassembling equipment. And forget the hassles of driving to and from the gym. 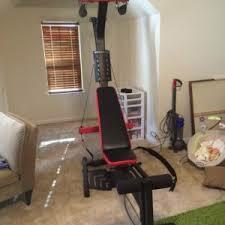 You can put the Bowflex in any room of your home. The Bowflex PR1000 is so compact and sleek that you could easily store it in your living room. A “home gym” doesn’t have to imply building a miniature gym inside your home. You could just as easily put your “home gym” in your “home office” and make it very easy to get in a workout while getting work done. The machine is very quiet, so you don’t have to worry about clanging weight plates waking up the kids. You’ll also be pleasantly surprised at how easy it is to assemble and store the Bowflex PR1000. For example, the rowing machine folds up after a workout. This minimises the amount of floor space that you need for the machine. According to Bowflex, you’ll need a minimum workout area of 100” x 78” – that’s not much space at all. If you’re putting this Bowflex machine in the garage, you can think of that space as about one-third the amount of space you need to park a car. There’s also the cost trade-off to consider. With a paid membership gym, you’ll be paying upwards of $1000 per year for a premium gym membership. Contrast that to the price of the Bowflex PR1000, which is less than half that price. In other words, this machine literally pays for itself in less than 6 months. 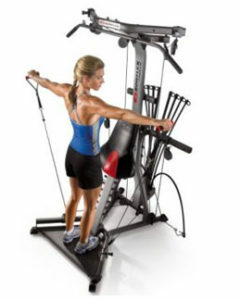 The Bowflex PR1000 is a great choice for a beginning to intermediate user. It includes more than enough Power Rod resistance to deliver a challenging workout. It also provides a cardio option with a rowing machine extension. Overall, it’s a compact, sleek and sturdy machine that you can put in any room of your home. Best of all it’s at a more affordable price point than other Bowflex machines, making it a cost-effective way to get a full body workout. Click here to get started today with the latest Bowflex PR1000 price and any available discounts. The Bowflex PR1000 is the perfect starting place for a healthier, fitter you.